with reliable, safety-conscious service since 1986. Triple B has a wide range of specialized equipment to suit a variety of jobs and sites, whenever the need arises. 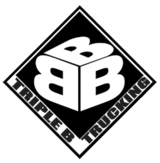 Triple B's fleet of trucks moves, hauls, and provides picker services in the oilfield, on the farm, and all points in between.